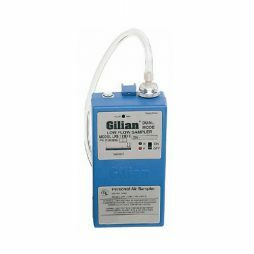 Get two devices in one with this airpump, which is able to sample both constant pressure and flow without any additional details. Its modern technology allows to sample air with flow speed from 20 to 5.000 cc/min. The screen in this device provides you with data, attuned to standard temp. and pressure. 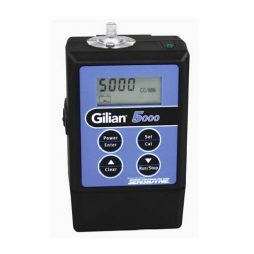 It can store up to 16 data points, and guarantees highly precise data due to the self-checking system. In case something goes wrong, it will correct this fault automatically and reset the device as many times as possible to discover if the fault was corrected. The dock of this pump allows you to charge the device and set up communication. 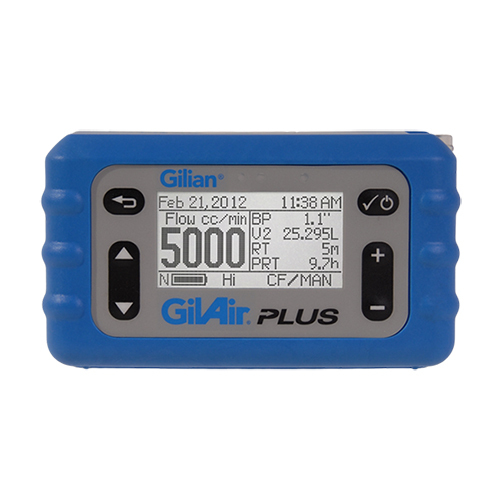 A special app that you have to install on your PC (Gilian CONNECT) will show you all the data, help you compile the reports and create special profiles that will help to arrange usage of multiple pumps. In addition, the dock serves as a link with the special calibration devices which will then change the data for the highest accuracy. 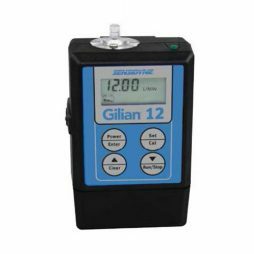 No disturbance of the data is possible due to automatic correction of the flow rate, when the altitude changes. You will not lose the precision of data due to high or low altitudes and you will have no need to count the changes on your own. GilAir Plus is unique due to this feature.